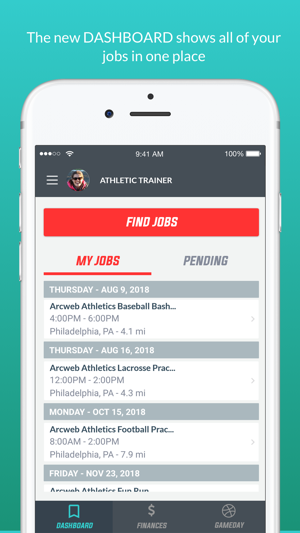 Go4Ellis connects Athletic Trainers with per diem work opportunities covering games, practices, camps, clinics, tournaments and more. 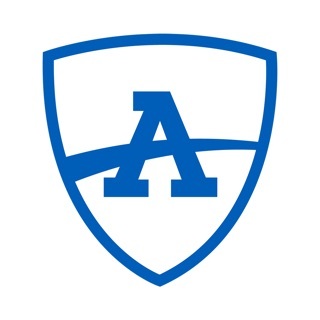 Our mission is to protect athletes everywhere by getting ATs on as many sidelines as possible. - Easily find work in your area. 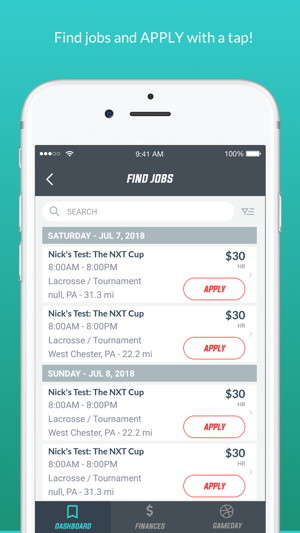 Filter by location, date, sport and pay rate. - Get paid by direct deposit at the end of your shift. - Track the expiration of your license, background clearances, professional liability insurance and other necessary paperwork from the app. I have been using Go4Ellis since it came out and cannot be more thrilled. Prior to the app, finding per diem work was close to impossible because it was by word of mouth and based on who you knew in the area. Since I had just moved, both of those options provided no work. This app allows me to find extra work that fits my schedule. Any glitches are fixed and addressed in a timely fashion by the Go4Ellis team. 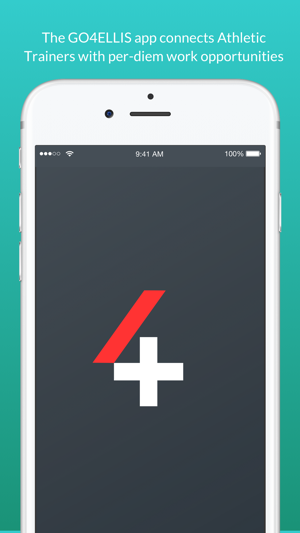 This app has also provided me and others with a network of athletic trainers that work well together. It’s easy to use, payment is received promptly, and communication is readily available. 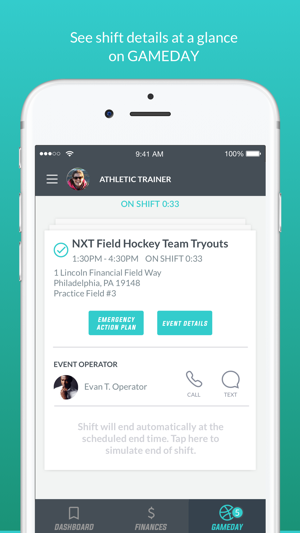 All athletic trainers should be using this app. I’ve used Go4Ellis for about a year now, and I have nothing but positive comments. This platform allows me to find per-diem work around the hours of my full-time position. The staff at G4E promotes the athletic training profession in an outstanding fashion recommending appropriate salaries and explaining AT’s scope of practice to event directors. Payment for each event is provided via direct deposit, at the latest, 3 days after an event. I never have to worry about chasing after what’s owed to me or hear the dreaded, “The check is in the mail” speech. This app seems to be improving every day. I’m excited to see what’s in store in the future. Go4Ellis is a game changer! I have been using it since its inception and have had nothing but great things to say, both past and present! Not only that but it’s SUPER efficient to find jobs and smooth out the payment process to ensure guaranteed payment in a timely manner! They are very easy to reach when a problem arises as they go in and do what they need to to fix it right away! This is paving the way not only for picking up per diem shifts but also ensuring the safety of athletes everywhere! Do yourself a favor if your reading this, sign up like...yesterday!